Watching animals lounge is grueling work. Afterwards we were hungry. We followed Jesse's nose downtown to a Kansas City BBQ place he remembered seeing the last time we were in San Diego. It's a little place surrounded by huge buildings. 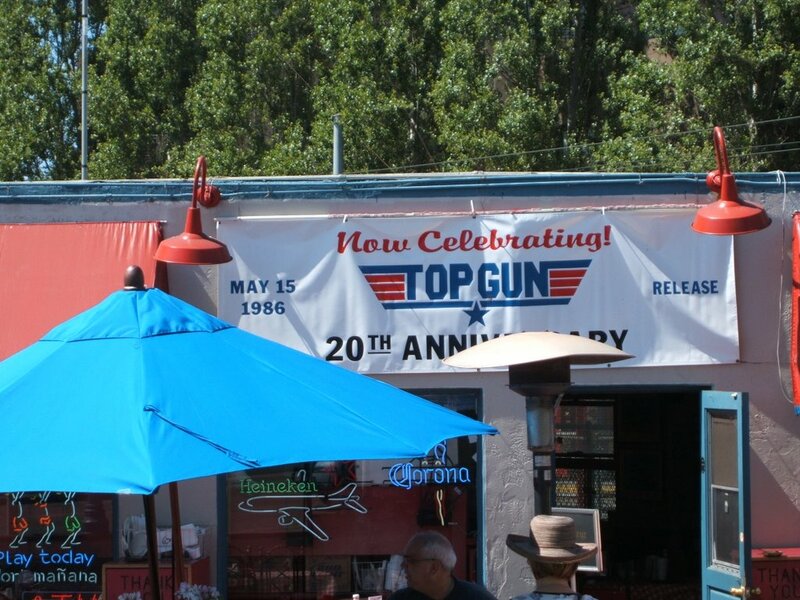 It's also the place where the sleazy bar scene in Top Gun was filmed. As you can see, the bar is really proud of that. 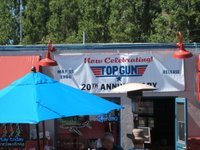 But nevermind the fame, the food was delicious and we will certainly be returning. So we ate. And it was still hot. So we went to the beach. 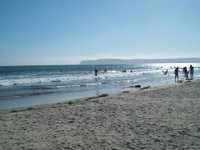 This time we went to Coronado. It's really picturesque. I'm sure it's been used in more than a few movies. Coronado is not as fun as La Jolla. 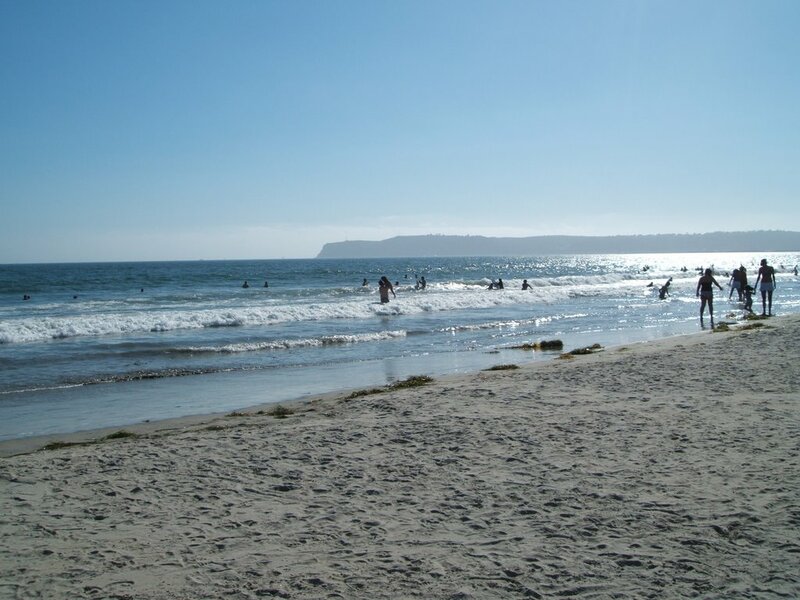 I mean beach is beach but Coronado is more like a "sit and tan far away from the water" beach while La Jolla is more like a "anywhere you sit you will be hit by waves" beach. As a non-swimmer who likes to sit on the beach, I prefer La Jolla. As a wave-jumper, Jesse also prefers La Jolla. The water was clearer at La Jolla too. But as girls who like to tan, Lucy and Steph preferred Coronado. So in one day we went to the zoo, ate a famous restaurant, and went to the beach. I think that qualifies for exhaustion. Back at the hotel we showered and we must not have done anything exciting because I have no pictures or memories of what we did. I know a little later, Lucy and Steph went dancing. Jesse, Janna, and I played phase 10, Jesse and I watched a movie until bed time. Not bad for a Saturday. 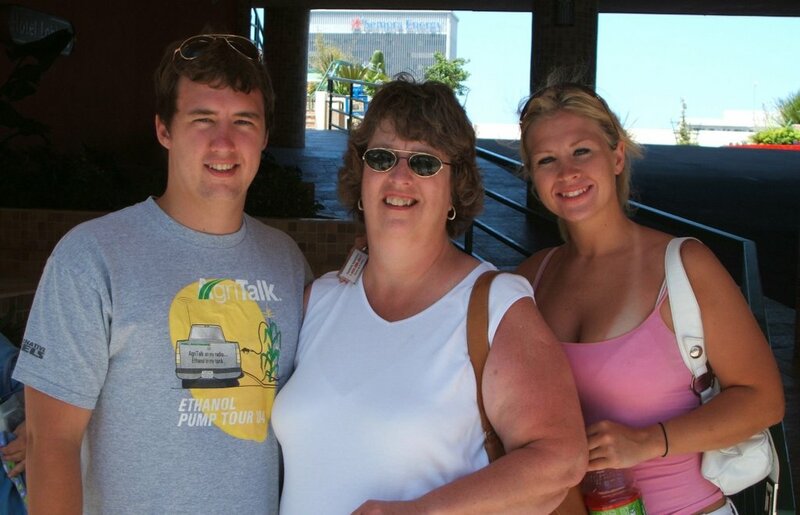 On Sunday Janna went back to North Dakota and the four of us headed back to Vegas. We were all up and packed by 11 - which was no small feat. We waited for Janna's shuttle to whisk her to the airport. Then we set out on a ridiculous journey for Brueggers Bagels. Once we were all fed, it might have been a good idea to hit the road. But good ideas aren't usually the most fun.